We offer a full line of carbide inserts, tool holders, drills, reamers, face mills, thread mills, end mills, gages and measuring instruments, abrasives, deburring tools, deep drill & tree-panning products. Our in-house lab has the ability to test coolant for refraction, bacteria content, fungus, tramp oils, and pH. In addition, we are able to test water supply for mineral hardness. Cold rolling is the pre-stressing of the thread roots of the drill collar joint, which results in a more durable connection that can withstand bending stresses longer without fatigue damage. 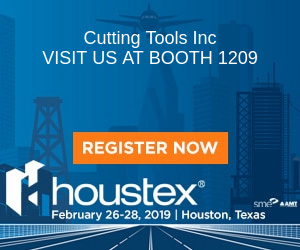 Cutting Tools, Inc. stocks a full range of Cold Rolling attachments and wheels for API, standard and proprietary tool joint connections.